Thank you for the emails and phone calls! 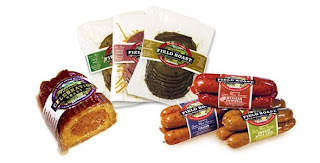 We are happy to say that although there are still many areas that Field Roast is difficult to procure…we do know that your stores could carry them if they are willing to put them on their shelf! Our sausages are making great strides in the vegetarian meat category, and have been noted as the fastest growing veggie meat on the market.